Today is Bryan’s birthday! Every day I write about the girly things I love in design, and today I thought it would be great to explore a masculine perspective in celebration of Mr. AphroChic. 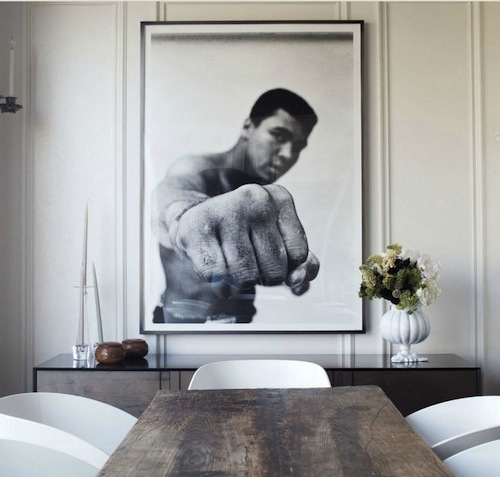 Lately, I’ve been noticing a trend in modern interiors – black and white images of Muhammad Ali. The former boxer, an American icon, is the quintessential image of strength, perseverance, and a no-nonsense attitude. 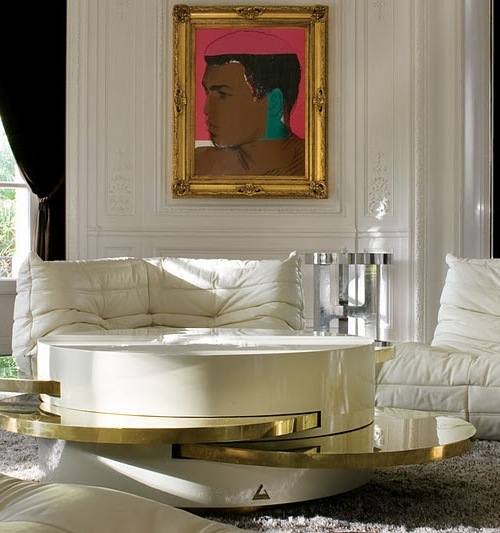 In home decor, his image expresses a sense of individuality and confidence that can only be attributed to Ali. In stark white interiors, black and white photos of Ali are immediately provocate. This image takes this dining room from sterile, to wow! This underwater photo of Ali is one of my favorites. Hung in the home of designer Kelly Hoppen, it is a beautiful addition to a classic black and white color scheme. 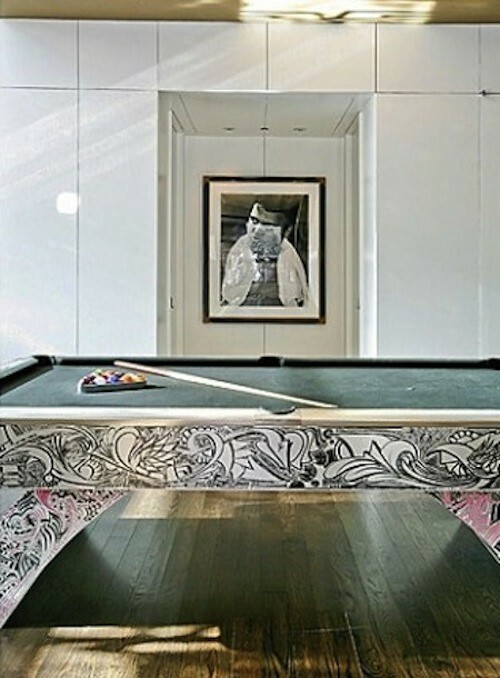 In the home of Alicia Keys, a large black and white photo of Ali is hung in the game room and is truly a striking piece.